I am not sure if you have tasted this Islay Whisky matured cheese. 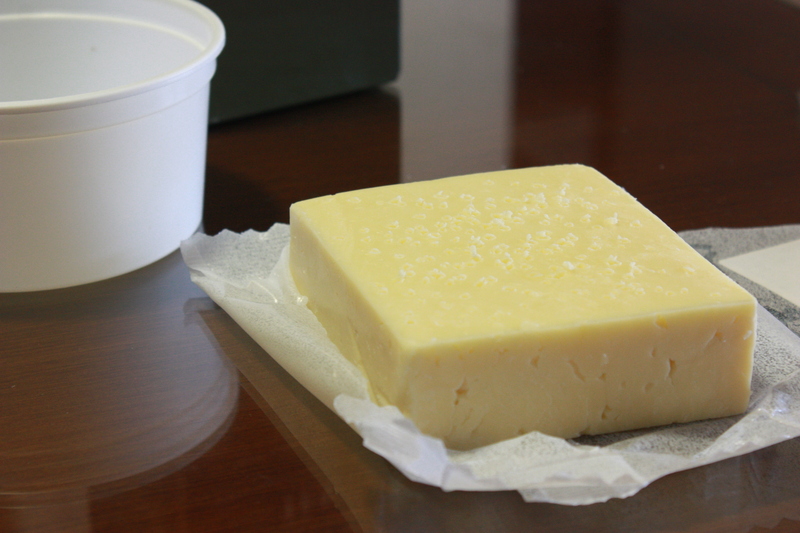 It is a mature cheddar cheese with a delicious taste of whisky. It is expensive but it really worths the money. So far so happy. The problem arised when my supermarket decided they were not going to stock it anymore (Why?! You have sold it out! Go buy more!). So after a few weeks of investigation and trials and error I got the correct way of doing it myself at home. So keep reading with me for this unfathomable resource of pleasure. First of all, get the best cheese money can buy. This piece of mature cheddar for €2.50 will do the work. *grin*. The better the cheese the better the result. Don’t be cheap. 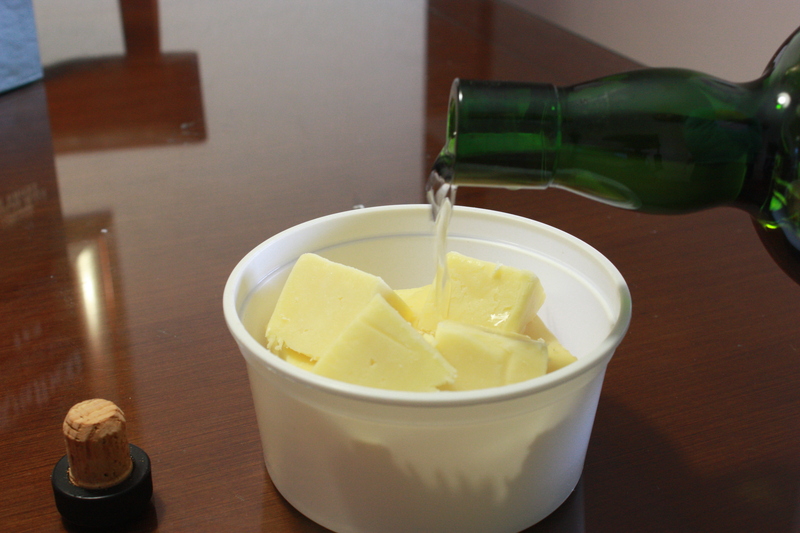 Then grab a fork, a recipient to place the cheese later and, of course, whisky. Use the whisky you prefer, I love the peated and smoky flavors of Ardbeg but feel free to try it with anything else ( just don’t use Johnnie Walker! 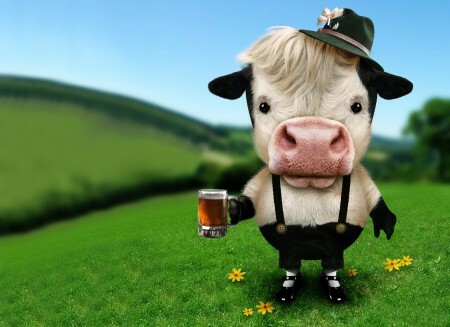 We want to add good flavors to the cheese! ). 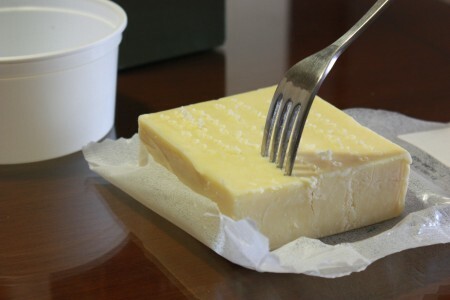 Grab the fork and pinch the whole cheese with it so that it is covered with small holes. 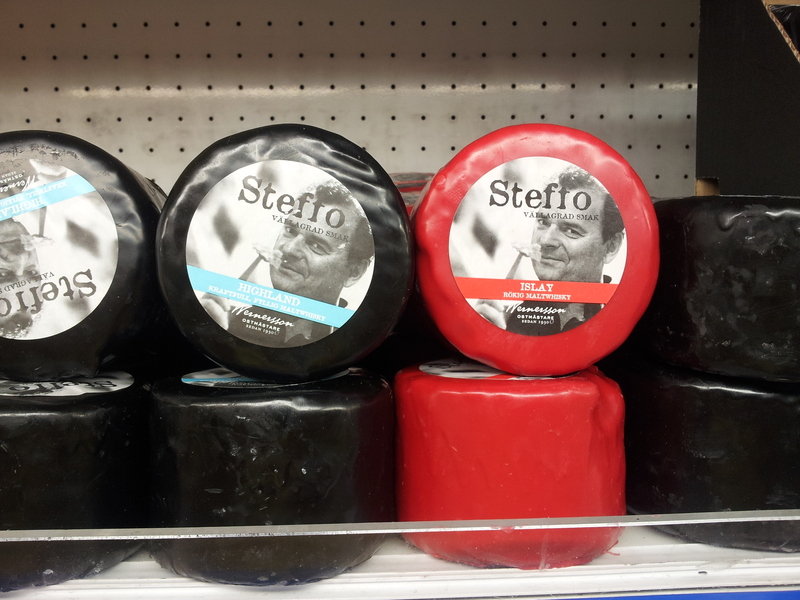 Try not to break the cheese. Like this. Turn the cheese upside down and repeat the process. When you are done you should have something like this. Now place the cheese on a recipient and pour a bit of whisky. Depending on the size you will need more or less. I poured around 4cl. 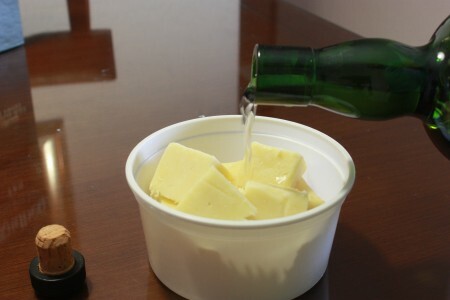 You need to cover the bottom of the recipiend to at least a quarter of the cheese is under whisky. Like this. Tip: Place the cheese inside a plastic bag and pour 1.5cl and you are done!. Congratulations! You are done! Now place the closed recipient in the fridge for a few days and turn it upside down from time to time, each day for example. In four days your cheese is ready. Take it out! Dry it a bit with a clean towel and voil�! There you have a whisky matured cheese.